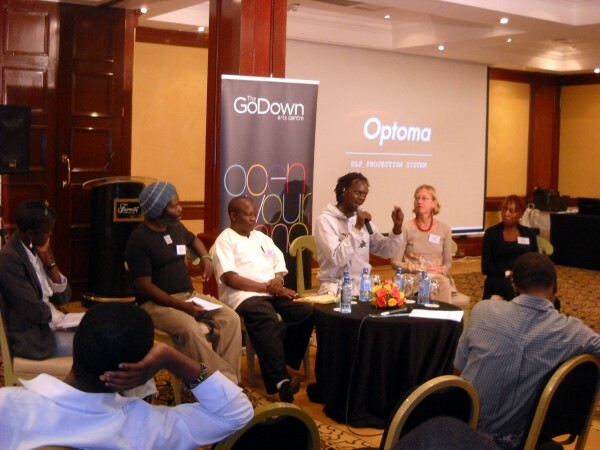 From 23rd -25th November 2011, some arts practitioners gathered in the comfort of two of Nairobi’s top hotels; the Fairmont Norfolk and the Crowne Plaza, to do discourse on the past decade of Art in East Africa. The event was organized by the capable hands of Joy Mboya’s GoDown Arts Centre in Nairobi. 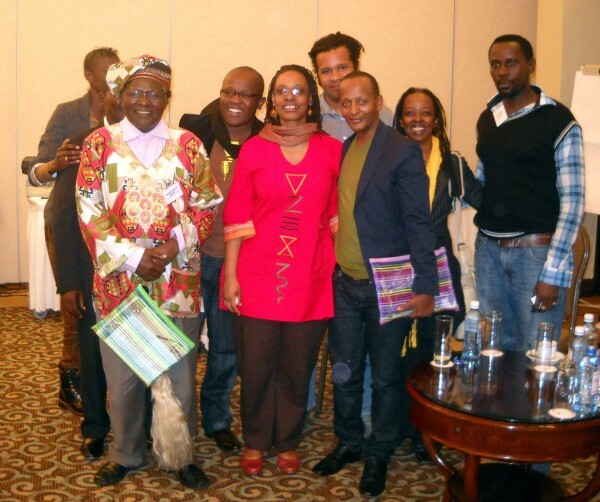 Participants at the East African Art Summit 2011. Ten years was…..? Well, ten years ago I was just finding my feet, and frankly speaking I did not know much about art in the region, let alone Uganda’s art scene. Well since then, we have witnessed the birthing and sad demise of artists, artist groups, galleries and museums. I kid you not when I say birthing and sad demise. Uganda Museum, the only museum in all Uganda (yes that is true) to speak of is teetering on the brink of oblivion. Some top East African artists have passed on, like the prolific sculptor Dan Sekweyama, the flamboyant and elegant Fabian Mpagi, the eccentric genius Romano Lutwama, and the quiet thinker Geoffrey Mukasa, the later three bringing to an end the golden era of ‘high art’ in Uganda. Tanzania also recently lost the great George Lilanga. On the other hand, the rise of new galleries in the region heralded fresh opportunities for young artists to thrive; Afriart Gallery not least of them. Sadly, RAMOMA (The Ramhitullah Museum of Modern Art) suffered an extended ending. Tulifanya Gallery in Uganda changed names to Afrik Kontemp Art (AKA) Gallery, and a new space in Tanzania, the Nafasi Art Space is bending the art airwaves in Dar es Salaam. The Kampala Street Art Festival (LaBa!) and the Bayimba International Festival of the Arts and the Amakula Film Festival are special highlights in Uganda. There is also a program for a Kampala Contemporary Art Festival (KLA ART 012). Zanzibar boasts the Sauti za Busara Festival and the Zanzibar International Film Festival (ZIFF). Tanzania and Dar-es-Salaam has been hosting the East African Art Biennale since 2003, with the latest installment coming along in early November 2011. 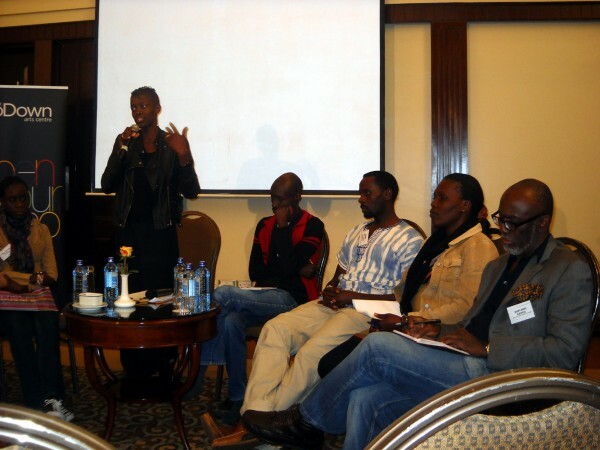 The Kenyans are hosting several art forums and think tanks. Following on the heels of the East African Arts Summit, was the Arterial Network’s Conference on the African Creative Economy (December 4-6th) and the 3rd Biannual Arterial Network Conference (December 7th). 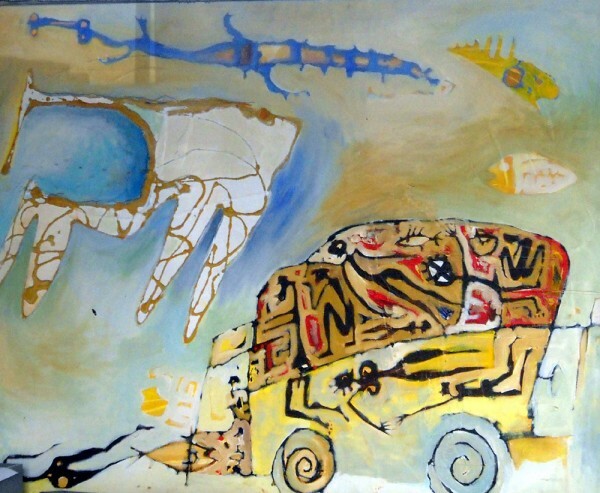 I would like to believe that art in East Africa has gone more upcountry all over East Africa, but I tend to doubt it. Has the appreciation of the arts among the locals increased substantially? I do not know, but you would agree with me that this kind of summit, with self-respecting, dignified artists is what all artists in this region need. Exposure to people doing real exploits will be helpful to the ‘small artist’ whose mindset is locked in the small sphere of doing artwork principally to sell, while ignoring the importance of it in the big picture of history. Incidentally, parochialism found no space in the discussions; the shakers were too busy talking about the real issues; opportunities, attitudes, funding, value-addition, programming and management and so on. They were essentially practicing the true politics of art in East Africa. 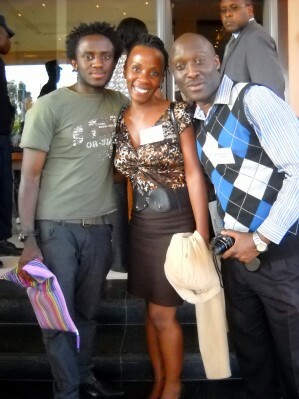 From the East African Art Summit 2011. What about the passing on of the creative mantle from the older to the younger generation? What is the relationship between the different generations of creatives? Some people believe that the space has widened, yet some feel the exact opposite. Some older ones thought the younger ones are coming in too competitive and practically nicking their space and with it, the means to earn a means of subsistence. The work for the ‘brain’ is superseded by producing ‘nonsense’ and working for the ‘stomach’, and motivated to use the art to buy big cars and take trips abroad, according to the experienced Tanzanian dancer, Irene Sanga. Younger generation artists beg to differ on this issue. They and their generation reserve their right to earn the big amounts of money and to flaunt their achievements in society’s face. Still, what is wrong with artists driving big cars and having large houses, being important to society and successful economically, so to speak? 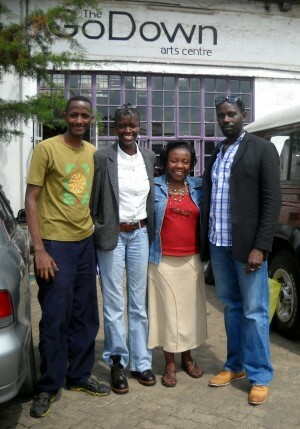 wonder the young Kenyan musician Anthony Mwangi and literary poet and radio presenter Cindy Ogana. Doing art to satisfy the intellect or simply to do artwork to sell? That should be a defining question for the past decade. Although we all probably know that artists have had to choose between being overly deep and struggle, like the Alex Mukulus of this world, and selling out and being shallow and petty, after all society is full of shallow and petty heads. What word or group of words to express the individual artist’s feeling of the past 10 years? Well, as it seems the departed artists of East Africa have not really enjoyed an upward surge in the sales of their artwork after they have passed on. No documentation or literary records for the possible adoring fans to be educated about East Africa’s art. Indeed the artists themselves would be hard pressed to verbally produce a couple of artists from the previous ‘generation’. Ideas of a contemporary art museum – particularly in Uganda – are rife, mainly driven by Henry Mzili Mujunga and Daudi Karungi. I wish that was the only kind of museum needed in this little but not so little country of ours. Frankly, I think every so-called kingdom in Uganda owes us a proper museum of their material, literary, musical and dance culture. We need at least twenty major and proper museums in Uganda. We have many nations or language groups that the colonials referred to as ‘tribes’. That classical culture will then function as a driver for culture to spread to contemporary culture. 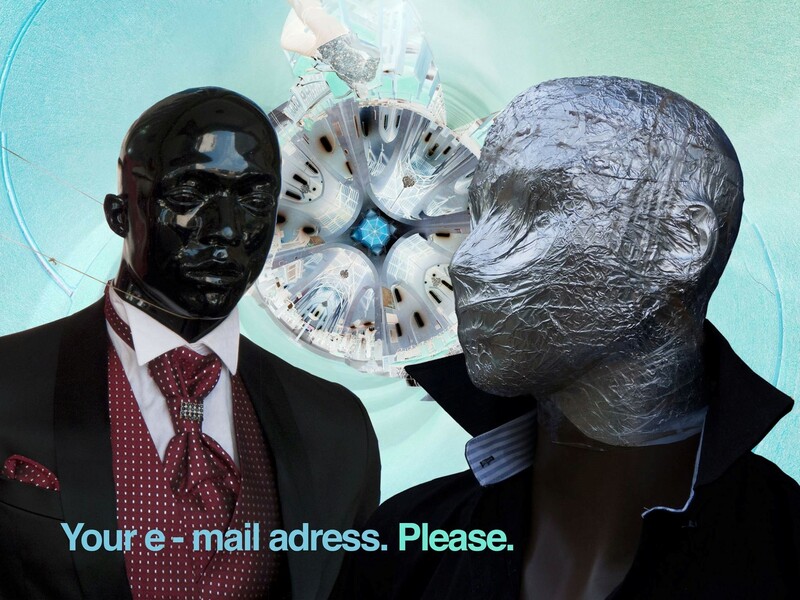 The visual arts desperately need a cultural transfusion. After the ‘tribal’ communities, wherever they are, learn some more through these functional galleries; of who they really are, where they came from and how interconnected their ‘pasts’ and ‘futures’ are, then they will learn to acknowledge and celebrate the contemporary visual culture too. People with a proud history make proud and confident members of society. However, not all our history is good. Besides the celebration of the heroes of the past, we must also accept the contribution of villains to our current stock. If only to show the people their mistakes, we should know for instance what Idi Amin, Joseph Kony, Alice Lakwena looked like, what their true agendas where and so on. This kind on pieced together information can only be housed within a war or national commemoration museum. (L-R): Lukwago, Rosette Nteyafas, Moses Serugo at the summit. Is it really the mediocre that seem to thrive as suggested by East African journalist Moses Serugo? Much as this particular direction is the inclination, I would like to traverse. I opt instead to suggest a different path in saying that the most assertive and confident artists get noticed and even celebrated. Society hates cowardice and anyone ultimately respects anybody that dares to step outside the society’s ‘boundaries’. Cowardly and self-effacing brilliance is unattractive when placed against mediocre confidence and loudness. Simpletons with microphones ultimately become the celebrities in any society, East or West. The hidden philosophers rot and choke on their cold poverty in the doldrums. Joy Mboya speaking at the East African Art Summit 2011. How are we to make a truly global brand coming out of East Africa? This is needed to give us a competing platform with the much favoured West Africa. I write this as a whisper as it may not be the case of favouritism, but a case of fortune favouring the brave. How big is the Arts Sector? Nobody really seems to know. Perhaps most of us do not want to know. Some fear government interference and unfair or unwarranted taxation. But it is imperative that we get to know how big we are, and in effect discover our impact on the masses as they stand. In a working system, the national government would be very interested in knowing how big this sector is for planning purposes, as most of their populations are unemployed or underemployed. How many talented people have no platform to perform or display their explicit abilities? The art industry needs in Uganda alone 1,000,000 personnel to have an impact at producing, managing, marketing, and so on. Kenya needs 2,000,000, while Tanzania 2,500,000. Rwanda needs 500,000 and Burundi needs 450,000. In sum, East Africa needs 6,450,000 people actively working in the arts sector alone. We have not made proper surveys, but the shortfall of active practitioners is glaring. For the industry to grow and thrive, it must have big support structures linked to manufacturing, construction, carpentry and industrial printing. 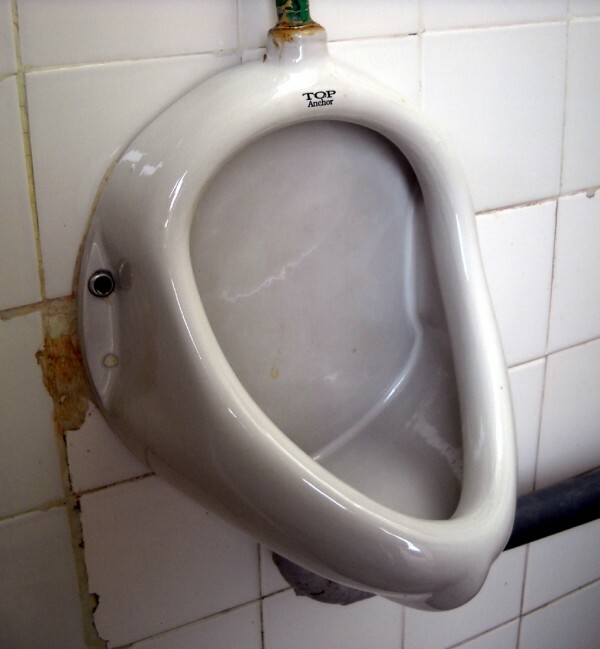 How is the arts sector – particularly ceramics, sculpture and design – being used to produce art-based products to substitute the imports of most manufactured products such as this ceramic urinal basin? We are grossly under-populated in this sector at a time when we dearly miss a canvassing mass. Perhaps, aside from my ‘utopian’ view of 6,450,000 personnel, how about starting with an achievable sum total of 1,000,000 working artists? We are more than behind this sum by at least 50%. Urgent research is needed in this area. Some are suffering a “hangover from the (donor) days of Philip Arnold and Rob Burnett” (and others) according to Aghan Odera. Odera also believes that we should not be crying about the gone donors, but rather find strategies to break free from donor dependency in the arts. Does art need funding? Does art education need funding? Of course all these need funding, but from who, where and with what agenda? The writer and artist Eria Sane Nsubuga (left) at the East African Art Summit 2011. We are also better served by finding out the magnitude of influence yielded between ourselves in East Africa and beyond. The time has finally arrived that Africa begin to look to Africa for answers. We are growing up. We are starting to think about making East Africa our market place. But we can not go far without drastically improving the quality of our products. For too long we have made inefficient production schedules and products. On the other hand, a myriad of questions are raised to which answers cannot be immediately found. Still, these questions must be asked and answered if our art is to grow into the cultural void in which we find ourselves. Eria ‘Sane’ Nsubuga is an illustrative painter and sculptor who believes that Uganda’s true story is being told through art. Sane – NOW YOU’RE TALKING MY LANGUAGE – this article is exactly what is needed. There needs to be more structure in art produced throughout East Africa. There needs to a beginning – a middle and an END. The Beginning: Go to school if you can afford it…or not…and then from that point work on a body of work that makes up your first portfolio. Then for those that have created a portfolio have an exhibition of the Emerging Artists…then go off around the world or around the Continent..have group shows and solo shows for at least 10 years. The Middle: There needs to be Mid-Career Exhibitions for individuals artists to show what they have been doing over the past 10 years worldwide. This must be in all Capitals….SOMEWHERE??? The End: After the Mid-Career show work for another 10 years in and out of Africa and then at the end of your career have a Retrospective. A ‘Retrospective’ is a celebration of an artists life’s work. This is vital and presently is not happening anywhere with the few exceptions. The last one was in Dak’Art with Iba N’Diaye and Malagantana but too few are being honoured. Great article Sane..keep them coming! My best part in this article is about government involvement in art and also the dubious issue of funding. For starters, government can not find any interest in the art and culture if the primary stake holder( you and me) are not doing something or are bickering about who’s who and wat they can do for the industry. I have noticed this syndrome among many artists i have talked to: trying to pull down each other. As artists we must live as one unit. There’s nothing like individualism in the art industry. Artist live off the community. This form of organization is needed before government can get interested in what we do. About funding, external funding especially with multi national companies is very dubious. Many such times, they have no genuine reasons why they are supporting you. They want to be domineering and this in away, stiffles the quality of the art. Here it is our task to identify those people who are friends to the arts to support us, besides good art will sell itself….